Do you realize that one of the most significant steps that many people will ever take in planning for the stewardship of their estate assets after they are gone does not require an attorney and has nothing to do with their estate documents? Over the last decade, tax deferred retirement accounts, such as IRAs, 401Ks, Keogh plans, SEPs and tax deferred annuities, have grown to be a very significant percentage of the estate assets for many individuals and married couples. 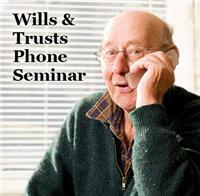 These assets do not pass at death according to the terms of the account holder’s will or trust. Rather, they transfer according to the instructions given by the account holder to the account administrator in his or her most recent beneficiary designation form. In most cases, any funds remaining in these accounts after the owner and spouse have both died make an excellent source for gifts to worthy ministries. Not only are such gifts fully deductible for estate tax purposes, but gifts from tax deferred assets also completely avoid the income tax that would otherwise be due if these funds passed at death to children or other non-charitable beneficiaries. When combined with the applicable estate tax, this “income in respect of a decedent” or “IRD” tax can amount to as much as 70% or more of the total asset value!! And since the government has allowed these funds to grow tax free in order to support you and your spouse in retirement, they really aren’t there to be passed on to family or friends anyway. In fact, the government assumes, through its minimum withdrawal requirements based on life expectancy, that most tax deferred accounts will be completely used up by the time of death. So, any funds that do remain after you are gone are ideal for charitable gifts. Recently, the IRS has simplified and liberalized the rules for designating gifts to the Mission from your tax deferred retirement account(s). By specifying the Mission as a contingent beneficiary (after your spouse) of some or all of each tax deferred account you own, you can maximize the positive effect that any dollars left in these accounts can have after you are gone. Simply obtain a “change of beneficiary designation” form from your account administrator, and list Salt Lake City Mission on the form as the sole contingent beneficiary, or as one of several ministries you care about, in whatever percentage you desire. Of course, this is no guarantee that a gift will be made, since there may be nothing left in the account when the time comes. But it is a great start!! And while it would be wise to update and coordinate your estate documents, so that they take into account any charitable gift that might be made from your tax deferred retirement account(s) after you are gone, it is not necessary to do so in order for the gift to be effective. Wise planning suggests that those with a heart for ministry will want to use these dollars to impact eternity, and avoid losing a substantial portion of them to the government in taxes.